Kylie Jenner regained her pre-pregnancy body in no time. Now, she is showing off her toned legs in a brand new pic. She can be seen standing 10-15 feet away from the mirror, and she is showing off her gorgeous figure in a short robe. She’s, of course, flaunting her massive bags collection as well and you can see the vast amount of fabulous items that she holds. The makeup mogul took this pic in her bag closet, and it has six shelves just for handbags which you can see on all sides of the closet. We can’t imagine how her other closets look like. She probably has a warehouse for her clothes and shoes. Kylie also posted a lovely video of her best friend, Jordyn Woods, while she was holding her baby girl Stormi in her arms. Seeing this clip, viewers got a good look at the baby’s face. 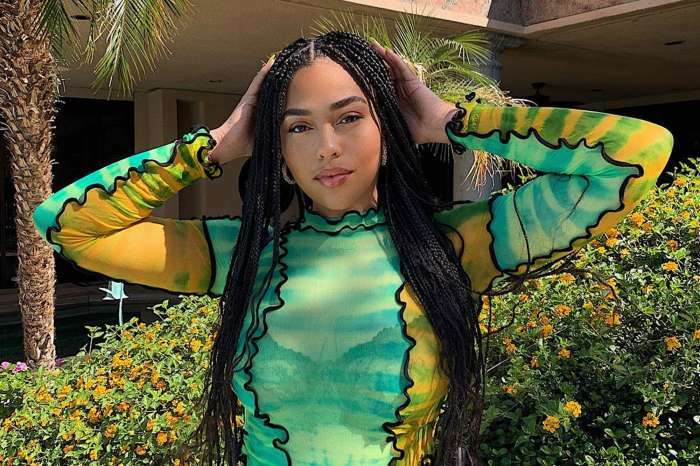 #PressPlay Look at baby #Stormi and bestie #JordynWoods! Does she look more like mom or dad? Stormi is definitely the spitting image of the young makeup mogul when she was younger; however, KUWK fans also believe that she looks a lot like her Kylie’s ex-boyfriend, Tyga. The timeline between her break up with Tyga and her romance with Travis will cause anyone to question the paternity of Stormi. There are rumors that the former Young Money artist wants to be sure that the baby isn’t his and this is why he has been reportedly asking for a paternity test. Kylie did not address this in any way.